A couple years later, some time when I was in high school – between 1990-91 – the character Matt Turner was conceived, as well as the basic plot. Flash forward around 16-17 years, and the first draft of The Dig was finally written, from November through December of 2008. Editing, querying agents, rejection, forgetting about it, and a couple years later, Amazon and Barnes & Noble came out with their self-publishing platforms (or rather, I became aware of the existence of self-publishing). 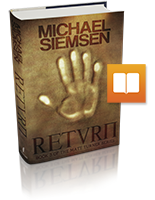 The book was released to the public in January 2011, but it didn’t sell all that well (translation: didn’t sell) until December, 2011, and didn’t hit the bestseller lists until March 2012. The first draft of The Opal (Book Two) was completed in April 2012, submitted to my new literary agent, went through various stages of editing and modification (which I have outlined and opined upon in the past), and was finally released in October of 2012. It’s been nearly three years since The Opal debuted, and I released three different non-Matt Turner novels since then (A Warm Place to Call Home, The Many Lives of Samuel Beauchamp, and Exigency), all while Matt Turner #3 marinated in my head, and the list of ideas and notes in my phone’s outlining app grew. I actually began writing Book 3 before I began writing Exigency, but it wasn’t working out. Many stops and starts, rewrites and dewrites, the permanent loss of multiple chapters due to Microsoft OneDrive syncing (you know, the thing protecting my data by saving a copy in the cloud) – followed by months more of standard writer’s hell, and here we are! 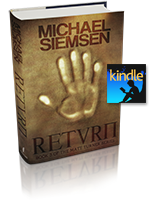 Return (Book Three of the Matt Turner Series) is actually here. It’s still a little weird to be past it, and weirder still to sit and wait for the world’s reaction to it. The Opal was very much in the loved it or hated it realm, and though everything else I’ve written since then has received overwhelmingly positive reviews, this is Matt we’re talking about. This is Tuni. 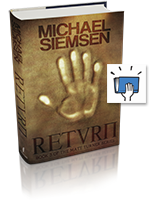 After putting out The Dig, they belong to you all – the readers – and what happens to them is no trivial matter. So I hope your continuing journey with them is thrilling, satisfying, and perhaps a bit twisty. Just got it, so excited! I’m on vacation and just read straight through all three of the Matthew Turner books. I enjoyed them enormously and will be sure to recommend them to all my friends who like adventure/paranormal/just plain fun reading. I was so glad about the plot line re Tuni, too. What more can an author ask than that readers care about the characters’ fates. I hope more Turner books come in the future! 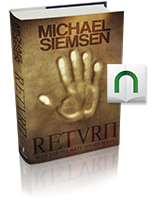 Just finished Return… LOVED it so much!!! This is my favorite series to date.. I love history, archeology, mysteries, thrillers, etc… I had been waiting forever for your next in this series, and finally!!! You just moved in front of James Rollins for my favorite author… please hurry with many more of Matt Turner! I posted the link to the book on my Facebook page so all my reader friends have the opportunity as well! Thank you, Michael!! Thanks again for writing, and for the support on Facebook! I really appreciate it! I just finished RETURN. What a great ride! And so much promise for future books in this series. Your response to one of your readers about book four brought a smile to my face. I can’t wait to see the direction Matt Turner goes next. I’ll be watching for it! (In the meantime, I’ll be checking out your other titles). Thank you!